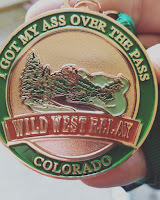 A couple of weekends ago my wife, my sister, and myself joined nine other knuckle heads and ran the Wild West Relay. 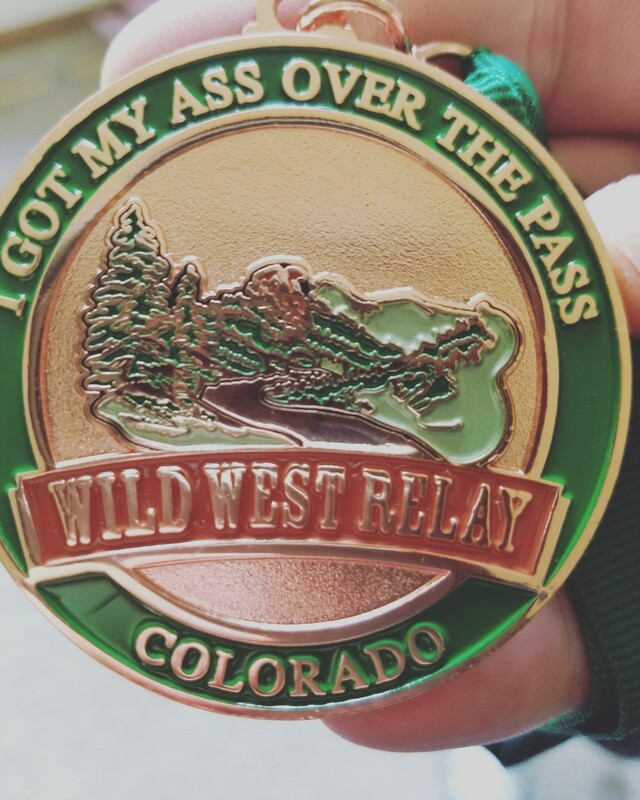 For those with half a brain in their head and would never subject themselves to such dumbassery, the Wild West Relay is a 200 mile relay run between Fort Collins and Steamboat Springs in Colorado. 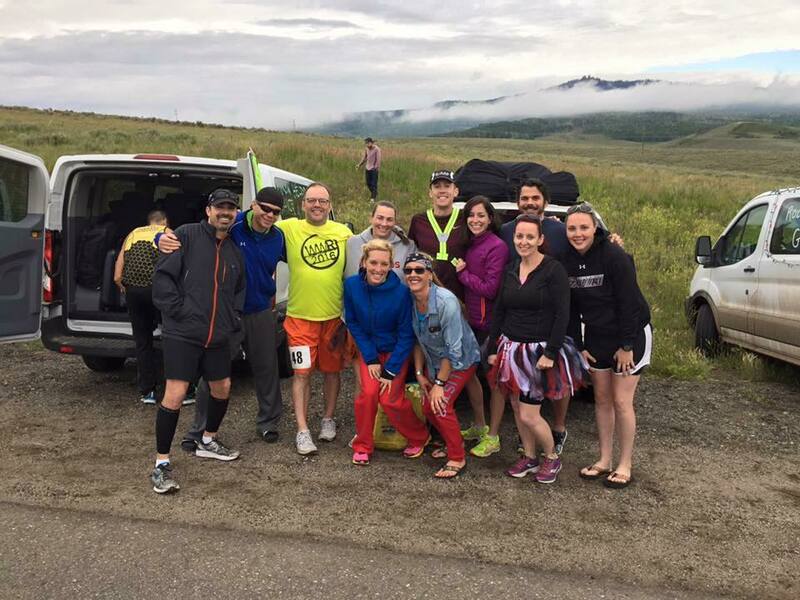 It consists of two vans of six people taking turns running ‘legs’ with each runner eventually running three legs adding to a total of about 17 to 19 miles for each runner. 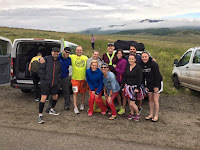 The legs and distance are one thing but the real issues are the lack of sleep and the unforgiving body odor that accompanies six people stuffed into a van for thirtyish hours. Many of the people I work with have asked me why I would commit to such a stupid endeavor. The question is similar to one I got from my daughters about marathon running, but the answer is very different. For marathon running it is about the accomplishment of pushing yourself a little farther than you think possible. That is simply not the case with relay running. Being honest, I tell my coworkers and anyone else who asks that it is about the feeling of finishing something so difficult, but that isn’t really it. I have run this race several times so the feeling of accomplishment has been replaced with the joy of being finished, which is hardly reason enough to participate in this endurance test. The real reason is to be a part of a team. I am part of a team in a golf league but I had missed the camaraderie of a large team pushing themselves to reach a common goal. I had played baseball and softball, but in the years since my ‘retirement’ from the diamond, I haven’t had that feeling until I started relay running. Being the weakest link at times didn’t change the fact that I was a link. As I am becoming a better runner, I am enjoying it more and wondering 'why' less. For the last few years our team, Tuts and Teabags, has set simple goals: to have fun, to push ourselves and to finish in under thirty hours. We have succeeded in the first two goals to varying degrees every year, the third goal, the thirty hours, has proven as elusive as the alleged ‘runners high’. Enter Tutus and Teabags 2016. 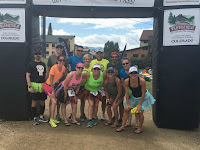 As a team we made the decision to become a slightly more competitive team this year, not by improving our runners, per se but by signing up for a more competitive division, so dumb its genius. As it happens in relay racing, we lost a few runners and we gained a few. The vans were fun. It was nice to see old friends and the new runners fit in really well. What happened next was surprising. We were faster than ever. 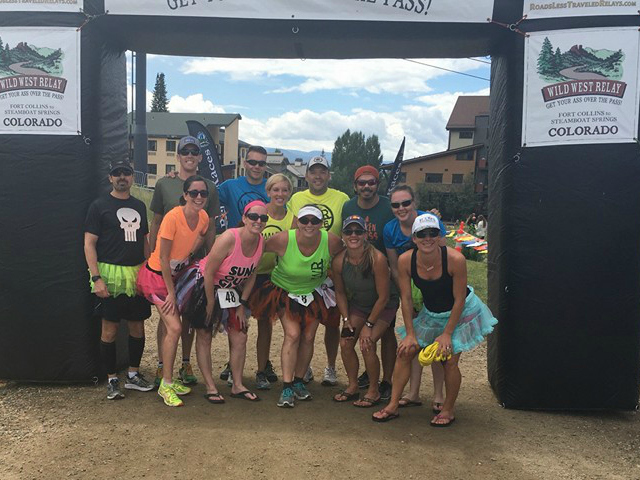 For some unknown reason (perhaps the new runners, perhaps the right combination of GU packs, coffee and post leg beers) we were able to manage a time under thirty hours! Truth be told, I have to believe, that as we starting crunching numbers as we were getting closer to the end of the race, no one wanted to let the team down. Everyone ran very well and the second van made up the last dozen minutes we needed to get to our goal. We not only came in under thirty hours, we were, in fact, able to take the bronze in our division! I don’t know that we felt any better at the end of it all, or if the bronze medal made a difference, but the sub-thirty hour time had our collective chests puffed out a little more than they usually would be. So girls, how does this relate to you? Simple, you all play on soccer teams, and it is likely you will play other sports, too. Signing up for these sorts of things are fun, but they are an obligation as well. It’s fine to play for the love of the game, but you need to recognize a love of your teammates as well. Not trying your hardest, not training on your own, not doing your best before and during games is being a bad teammate. Giving your all for yourself is great but leaving it on the field for your team is what makes sport as awesome as it is. At the end of the day, team sports will eventually give way to individual sports and activities and you, like me, will miss the camaraderie. So for the time being the message is simple, give it your all, because you never know how long this team thing will be going on. Heck, I'm surprised I keep getting invited back!